Technology of protected cultivation precisely greenhouse and polyhouse farming has been tested, certified and approved in India for its ability to increase the crop yield by solving majority of the problems faced by the farmers. However, farmers’ worry for appropriate training and sourcing the quality rich planting material required for the cultivation. “We are here to assist farmers in every way! Our organization has taken the responsibility for demonstrations and training to farmers and capacity building for officers on protected cultivation for vegetables and flowers. 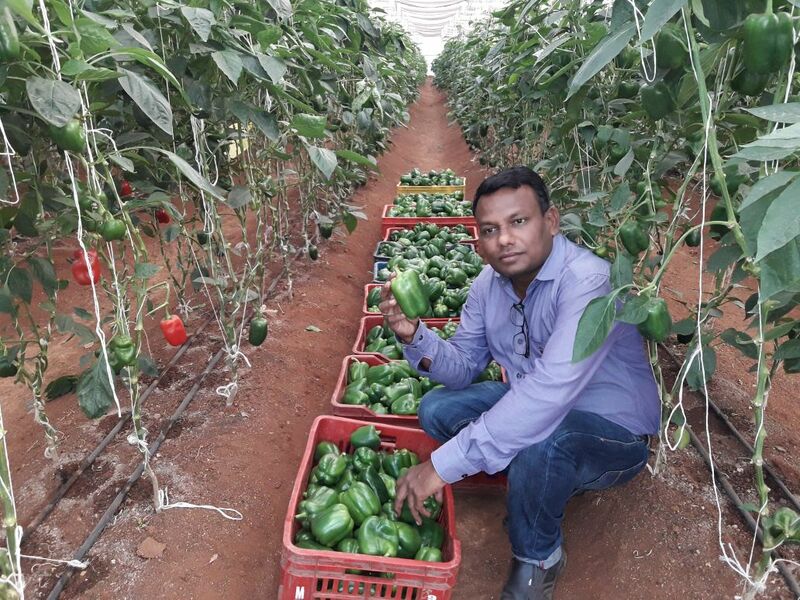 In addition we develop pluglings (seedlings) at our plug type nursery, the hi-tech greenhouse and distribute to the farmers at nominal price. Lastly we reach out to the consumers with our on-campus commercial store for selling vegetables and flowers produced at our polyhouses,” highlights Mr. L. Venkataraman Reddy, Director, Centre of Excellence for Protected Cultivation and Deparment of Horticulture, Telangana State. Standardization of crop production technologies for vegetable and flowers is also done at the centre and technology is transferred to the farmers through the training sessions. The organization is funded by State and Central Government. It is located at Jeedimetla, Hyderabad, Telangana. Gerbera, orchids, carnations, cut roses, liliums, zypsophiphilla, limoniums etc are the main flowers grown at the center while vegetables cultivated are coloured capsicum, cucumber, brinjal, cherry tomatoes and all exotic veggies namely different types of lettuce, broccoli, zucchini etc. Established just a year ago, the organization has trained more than 4500 farmers on protected cultivation. It spreads in 10.5 acre has 18 polyhouses. “Amongst 18 polyhouses we have 8 naturally ventilated structures and 6 walk in tunnels. One structure is hi-tech greenhouse exclusively used for developing pluglings (seedlings). These pluglings are distributed to the farmers engaged in polyhouse farming and open cultivation of vegetables. 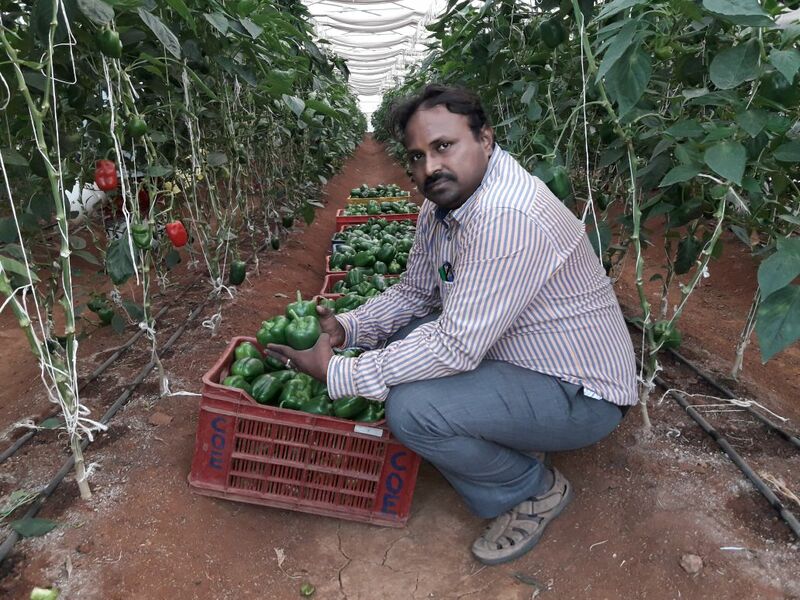 Annual production capacity of this hi-tech greenhouse is 1.50 crore pluglings and as of date we are developing and distributing 15 lakh seedlings including vegetables and flowers per month,” shares Mr. G. Rajkumar, Assistant Director of Horticulture, CoE Price varies between R.s 0.75-4/seedling. These are sold at subsidized price to general farmers while it is free for farmers belonging to tribal section. Farming practices in the polyhouse is mix of organic and chemicals. 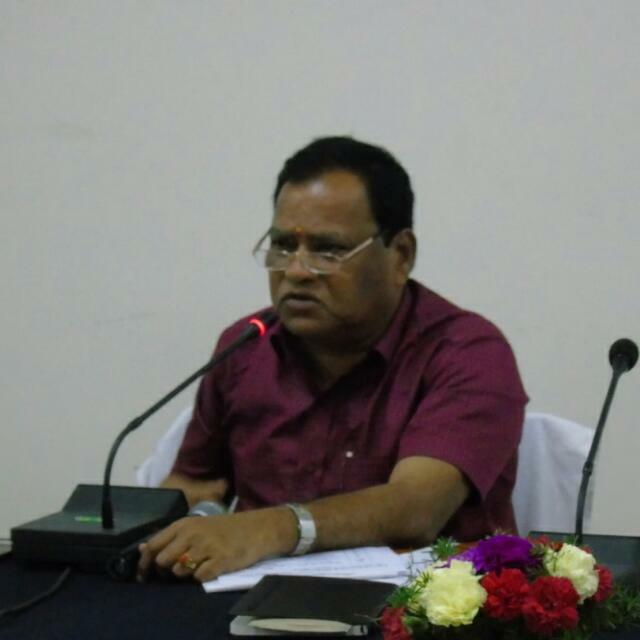 “We are regularly conducting trials to reduce the use of chemical based farming inputs. We are successful in growing green leafy vegetables completely natural while for other vegetables the trials are going on. Hopefully we will get the best results soon,” he asserts. There are three types of training sessions conducted at the centre namely one day, three days and five days. These sessions impart blend of theoretical and practical knowledge. “Our objective is to encourage every farmer to start growing vegetables or flowers in their farm as it will improve the production and so will their livelihood. The capital investment in our center is made by the government but now day-to-day operational expenses are being managed by our three activities viz training, commercial store and seedling sales,” shares Mr. Rama Krishna. Future plans at Centre of Excellence for Protected Cultivation are to export the flowers to the foreign countries, reach more farmers and encourage them for protected cultivation by giving good training and planting material. Protected cultivation of flowers and vegetables will certainly improve the income of farmers as the capital investment is subject to 50-75% subsidy. “In our Telangana state farmer is entitled for 75% subsidy for poly house farming. It is a substantial financial support given by the government. Rest we are here to give production guidance. Mostly the break even is one year. If the farmer works sincerely then surely he will attain success and expand his operations in protected cultivation,” concludes Mr. Reddy.